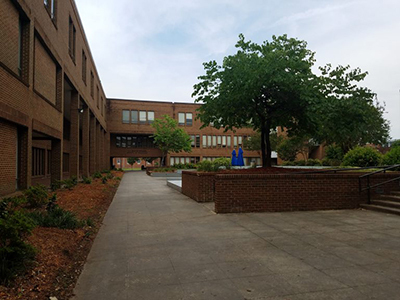 Three professors in Fayetteville State University’s (FSU) College of Education have made significant contributions in their respective areas. In the Critical Black Pedagogy in Education series, the first book was a co-edited volume by Sheryl Croft, Tiffany Pogue, and Vanessa Siddle Walker titled, Living the Legacy of African American Education: A Model for University and School Engagement. Dr. Vanessa Siddle Walker one of the co-editors is the president of the American Education Research Association, one of the most recognized educational organizations in the world. The second book, What I Learned and What I Learnt: Teaching English While Honoring the Language and Culture at A Predominantly Black Institution," was co-authored by Concetta William and Lydia Brown Magras. In The Africana and Critical Leadership Studies Series, Dr. Comfort Okpala and Kimberly Young Walker co-edited a book titled, "Improving the Viability and Perception of HBCU's. Okpala is a graduate of Fayetteville State University's doctoral program. She is a professor and former chair of the Department of Leadership Studies at North Carolina A&T State University. The most recently released book titled, Reshaping Beloved Community: The Experiences of Black Male Felons and Their Impact on Black Radical Traditionswas authored by Marlon Smith. Pitre also co-edited a book titled, Research Studies on Educating for Diversity and Social Justice. The book is the second in the National Association for Multicultural Education Book series. The co-editors for the book are Ashraf Esmail, Darren Lund, Prentice Baptiste, and Gwendolyn Duhon-Owens. This is the second co-edited book publication by Pitre since arriving to FSU. His first co-edited volume titled, Perspectives on Diversity, Equity, and Social Justice in Educational Leadership was published in October 2017. Dr. Noran Moffett, professor in the Department of Educational Leadership, will serve as chair of the American Association for Colleges of Teacher Education (AACTE) Clinical Preparation Topical Action Group (TAG). The TAGs are a vital part of the AACTE community by providing a forum for individuals with common interest within the field of educator preparation. Moffett's term begins immediately with the first TAG meeting beginning at the 71st AACTE Annual Meeting in February. Dr. Nicole Anthony, assistant professor of special education, facilitated an interactive discussion and presentation at the North Carolina Council for Exceptional Children conference (NC CEC) in Greensboro, N.C. on January 25, 2019. The title of the presentation was, Using Technology to meet the Social-Communication Needs of Adolescents with Autism Spectrum Disorders. Autism Spectrum Disorder (ASD), or just simply known as autism, is a neurodevelopmental disability that affects how children and adults behave and communicate in social situations. Individuals impacted by the disorder need targeted interventions to achieve academic goals and to improve social and communication skills.